Post brought to you by BFree Foods. I recently went out to lunch with a friend and had a delicious chickpea salad (like a chicken salad) and have been craving it ever since. So when I received a box of goodies from BFree Foods to try out, I decided it was the perfect excuse to whip up my own version of chickpea salad to use with the products. I have been using BFree products for a while now. When I first saw their pita bread and my local grocery store, I grabbed a pack. I am always on the lookout for new items that are vegan and gluten-free, especially in the bread department. I’ve been buying their products ever since. 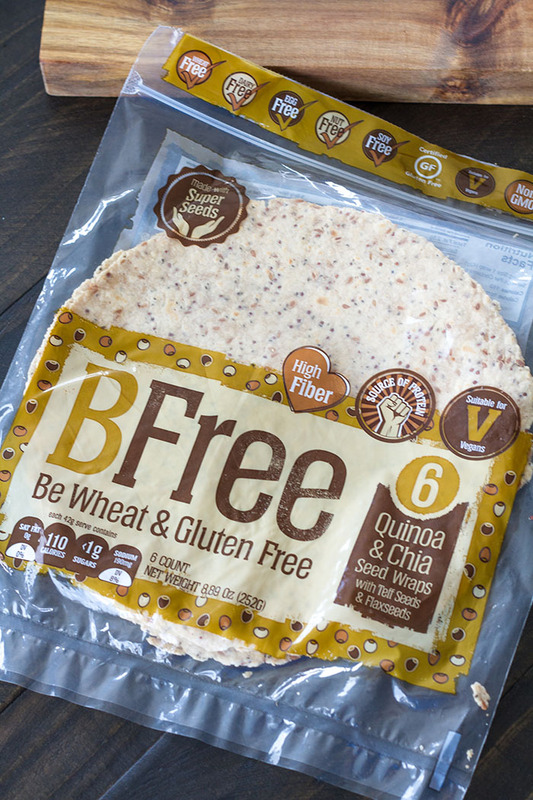 BFree products are free of wheat, dairy, eggs, nuts, soy, and gluten. Getting to try out more of their products was a treat (thank you BFree!). 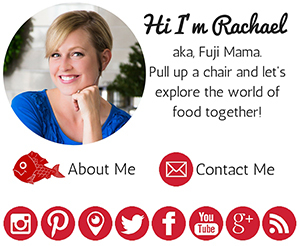 My two favorite products are their Brown Seeded Sandwich Loaf and their Quinoa and Chia Seed Wrap with Teff and Flaxseeds. For this chickpea salad I went with the Quinoa and Chia Seed Wraps. 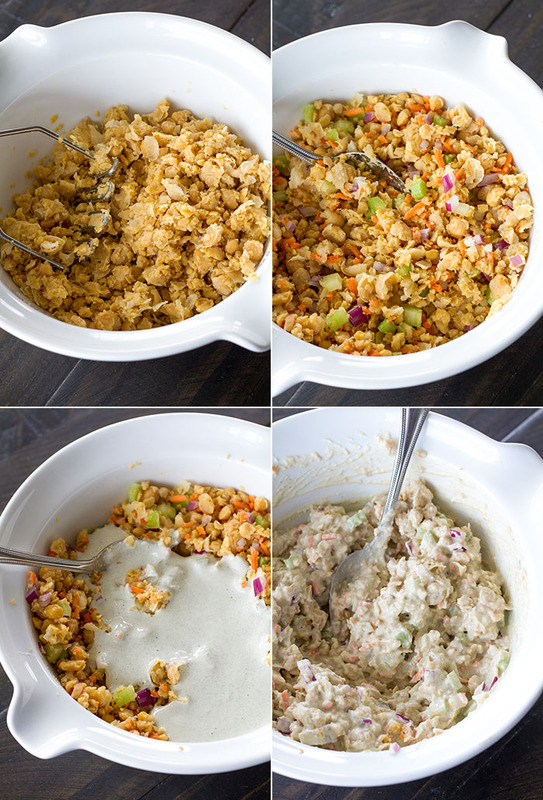 Chickpea salad is super quick to whip up, though I like to make it in advance, since the flavor is best after it has had the chance to sit in the refrigerator for at least an hour. For the mayonnaise I used my Vegan Japanese-Style Mayonnaise, but you can use your favorite mayo, whichever that may be! For the wraps, I briefly heated the BFree wraps (this makes them less likely to crack when you roll them), then topped them with some lettuce leaves, several heaping spoonfuls of chickpea salad, then rolled them up. Easy peasy lemon squeezy! These make a delicious meal, whether it be lunch or dinner, and would be perfect to pack for a picnic or in a bento. 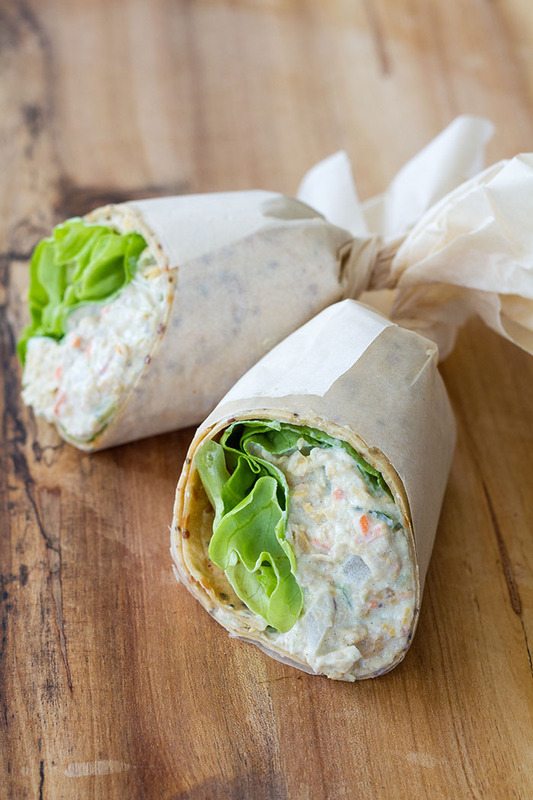 Wraps filled with a fresh and flavorful chickpea salad. 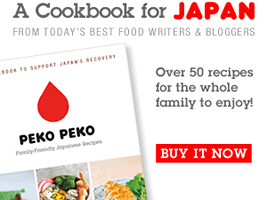 Perfect for picnics or a bento. Makes 4 to 6 wraps. 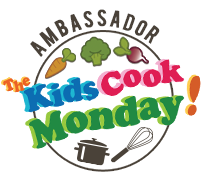 Whisk together the mayonnaise, rice wine vinegar, and garlic powder in a small bowl, then set it aside. In a medium bowl, lightly mash the chickpeas with a potato masher or fork. Make sure not to mash the chickpeas too much. You should have a variety of sized pieces. Add the celery, carrot, and onion and toss lightly to combine. Add the mayonnaise dressing and stir everything together. Add salt and pepper to taste. Cover and chill the salad for at least 1 hour to allow the flavors to develop. When ready to serve, place 2 to 3 lettuce leaves on the botto half of each wrap. Top each with a few heaping tablespoonfuls of chickpea salad. 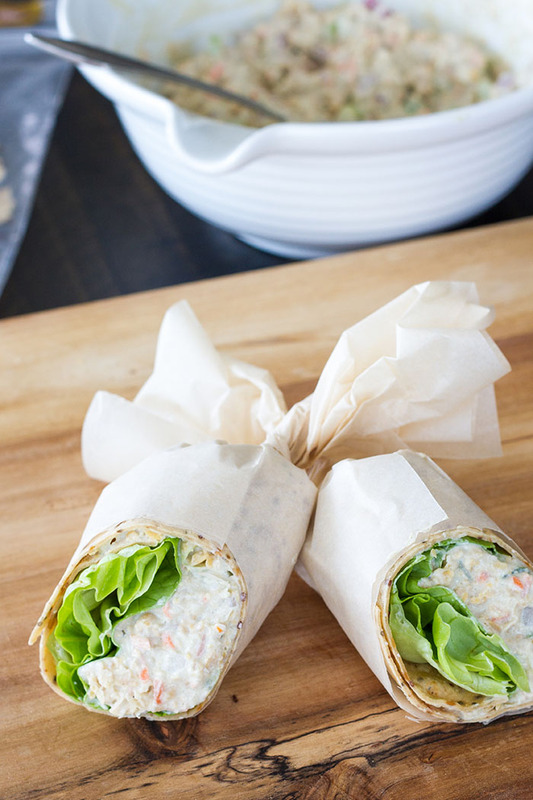 Fold over the sides of the wrap, then roll up from bottom to top. Repeat with the remaining wraps. 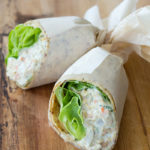 The wraps can be wrapped in parchment paper and packed in a bento or picnic, or can be served immediately. 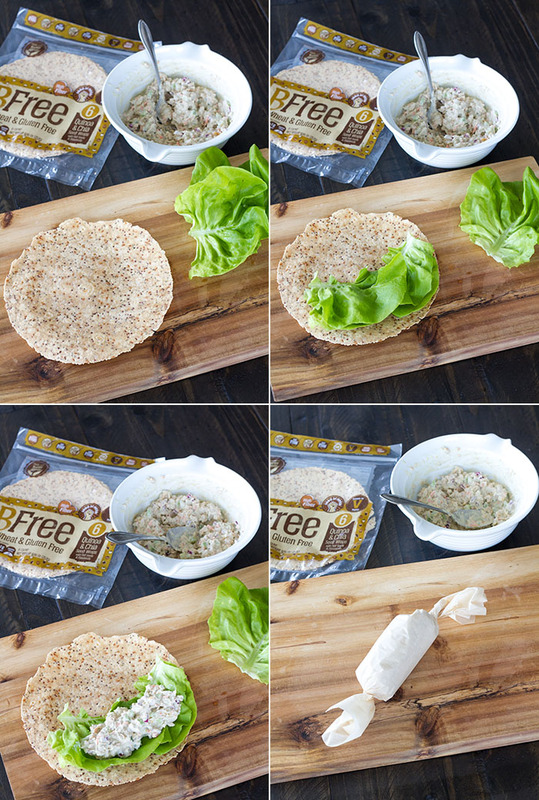 If using BFree wraps, briefly heat each wrap in a skillet on the stove, or in the microwave, before using to make the wraps more pliable so that they won't crack when you roll them. *Disclosure: BFree sent me a variety of products to try out at no cost to me. I received no other compensation. All opinions and experiences are my own.